"The Slight Edge" is a way of thinking, a way of processing information that enables you to make the daily choices that will lead you to the success and happiness you desire. Learn why some people make dream after dream come true, while others just continue dreaming and spend their lives building dreams for someone else. It's not just another self-help motivation tool of methods you must learn in order to travel the path to success. It shows you how to create powerful results from the simple daily activities of your life, by using tools that are already within you. 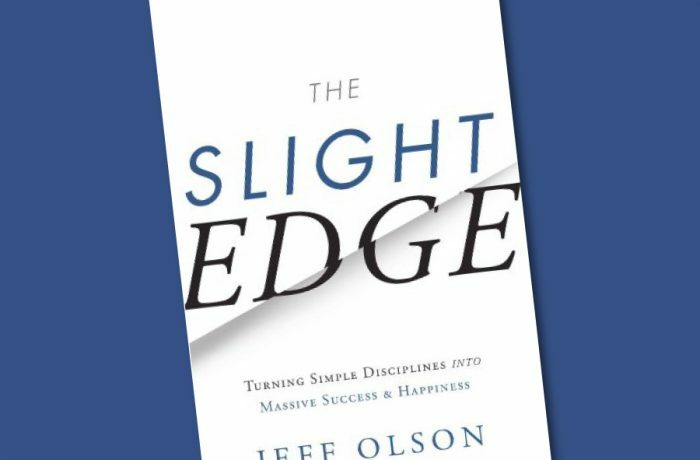 In this 8th anniversary edition you'll read not only the life-changing concepts of the original book, but also learn what author Jeff Olson discovered as he continued along the slight edge path: the Secret to Happiness and the Ripple Effect.